Halloween is coming up in less than two weeks, so it’s time to start thinking about treats that are better than anything that comes in a plastic bag from the grocery store. This is the same recipe I posted before Easter a few years ago, when I made “peeps.” The ingredients and preparations are the same, you just make them in a different form. Note: You can find Petal dust at most higher end kitchen supply stores. Sprinkle gelatin over 1/3 cup cold water in the bowl of an electric mixer. Allow gelatin to soften (about 5 minutes). Combine ¼ cup water and 1 cup sugar in a small saucepan, and stir over medium-high heat until sugar dissolves. Place a candy thermometer in sugar water, and wipe sides of pan with a wet brush if sugar crystals have formed. Boil mixture until temperature reaches soft-ball stage (238° F). Remove syrup from heat; add to softened gelatin. Using the whisk attachment of an electric mixer, hand-stir the mixture a few minutes to cool; place bowl on the mixer stand. 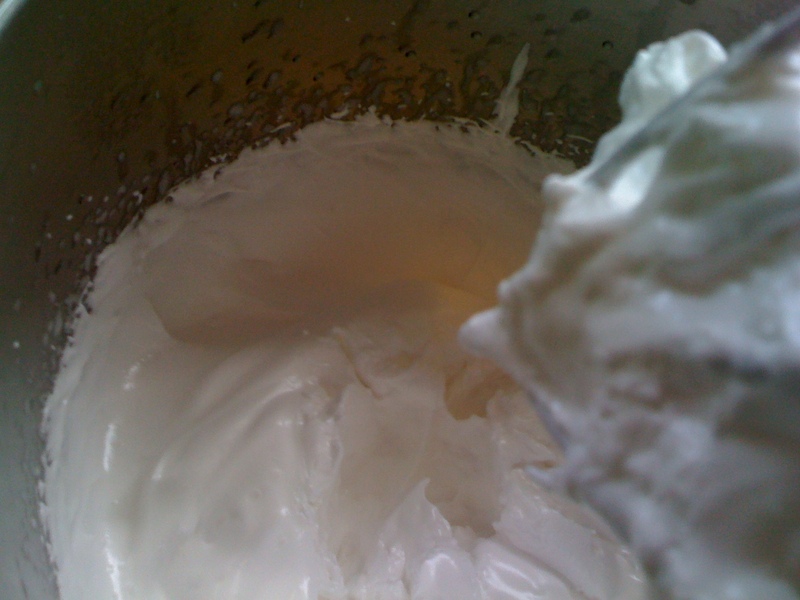 Beat on medium high with the whisk attachment until soft peaks form and the marshmallow mixture holds its shape (8-10 minutes). NOTE: In the photo above, the marshmallow mixture is a little over mixed for piping smooth ghosts. I found if I added two teaspoons or so of clear vanilla extract and re-whipped the mixture until combined, it was now smooth and had better flavor. If you do not have clear vanilla extract try a different flavor as long as it is clear or your ghosts might not be wearing white sheets. Transfer marshmallow mixture to a large (14-inch) pastry bag fitted with a ½-inch diameter tip, and use immediately. 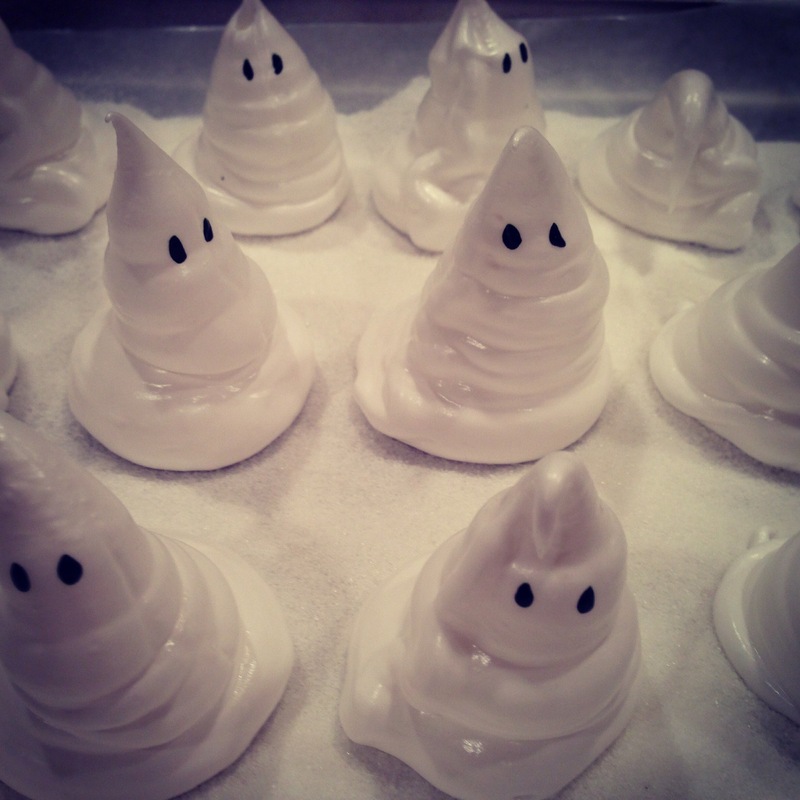 Pipe pointed mounds about an inch in diameter (ghost shapes) onto a cookie sheet lined with sugar (or they will stick to the pan.) Coat generously with fine sugar and add details as desired. 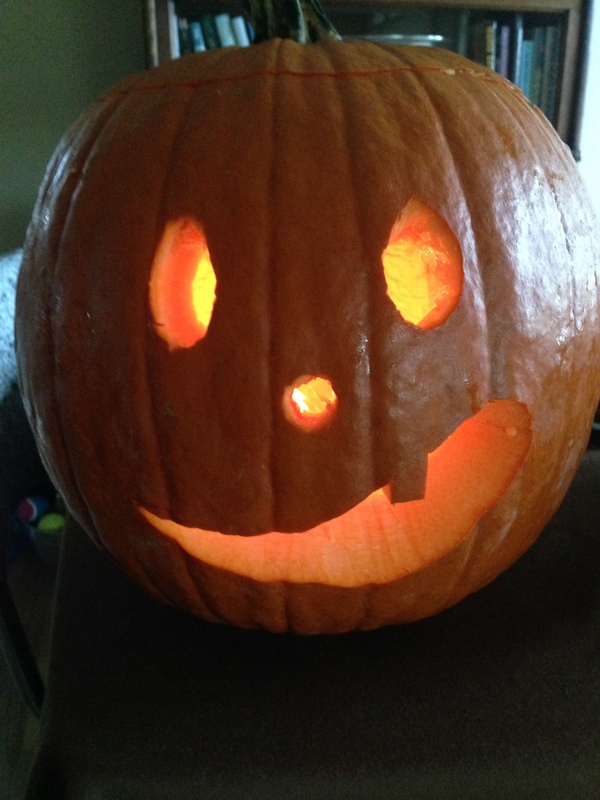 I used a black gel food coloring for the eyes, and a toothpick to dot them on. Allow ghosts to set at least 1 hour before serving. They can be stored in a covered container for up to 2 days.